In a mortgage business, the first and most important thing you need to do is to get in touch with the right people. Who are these people? Who is “your” ideal client? Looking for mortgage, cash-out refinance, purchase a new home, reverse mortgage? State of California, Indiana, Florida, or perhaps Arizona? What type of credit do they have? In this article, we’ll be taking a look at solid tips that will help you generate more internet leads for your mortgage business. These tips are tested– proven– and guaranteed to produce astounding results if applied accordingly. You need a simple and professionally looking website. What do all magnetic mortgage websites have in common? We’ve broken them down for you below from one of the best usability design experts we know…Rick Whittington. People-first approach – Put people first and make the content easy to find and understand. Navigation is clear and organized. Avoid industry jargon. Add videos, photos and bullets to break up the content so it is easy to scan. Personality – People want to do business with other people. Don’t hide behind the corporation. Show pictures of you and your loan officers. Have a detailed about us page with a timeline of your business, why you love servicing loans, your core values and your career path. Benefit-Driven Content – Speak to your customers pains. Use the exact language they are using everyday. Then show how you can solve their specific problems through tips they will want to read, keep and share. If you’re currently having challenges generating leads, then you need to rethink on the look and design of your website. This is very important. 2. Develop an information product with solid refinancing information and give to prospects. Most internet users don’t like to be outright sold–but they love to get free information that will improve their businesses and personal lives. It’ll be more of an advantage to you if you create a rich report, full of up to date information that will educate and inform them about buying and refinancing a home in this present economy. By doing this, their perception of you as a mortgage broker will change as they’ll begin to see you as an established expert that knows the in’s and out’s of the mortgage industry. Also, their trust towards you will soar because you were willing to give out such solid information. They’ll also try to develop a relationship with you as they’ll perceive you as someone they can rely on whenever they have challenges. Pro Tip: If you’re too busy to write a short page report, hire a professional ghostwriter to write one. You can place a job Ad for just $50 on Problogger job board or visit Freelance job platforms like Elance and odesk. Article marketing is another effective way to get prospects to keep ordering for your free report. I often hear some people say that article marketing does not work anymore or it’s an old traffic generation system. Though article marketing may be a traditional way of generating targeted leads, it’s effective if done the right way. This system is very easy to set up and it gives one the opportunity to continue to generate mortgage leads for years to come as far as the content is a unique one. The attractive part about using this mortgage marketing system is that it doesn’t take much time and it requires little to no capital to get started. We just finished a webinar with www.leadscouncil.com – the leading online generation association, discussing the pro’s and con’s of affiliate marketing lead generation. Below is a simple success formula you can apply to gauge the likelihood of success for your mortgage marketing. 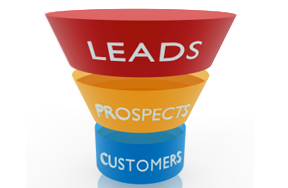 Inbound Lead Process – Make certain you have proper follow up and routing systems to get in touch with the clients as soon as possible to convert more leads into sales. CRM – Customer relationship management systems help in 3 areas. Speed to contact, drives a disciplined sales process, and sales rep productivity. Why is this a good marketing channel to consider? Because affiliate marketing will grow 34% from 2012 to 2014. That is the 3rd fastest growth rate behind mobile and social media marketing. Second, it allows you to acquire your own exclusive leads, gets the phones ringing and builds your own brand to create a more valuable company. Do you have any new mortgage marketing tips to add to the ones above? Let us know what you think in the comment section. These are great tips Wade. I like how you add in affiliate marketing as this can offset the costs of generating leads and provide valuable resources at the same time. Websites are a great start too or any landing page that you have access to the leads who opt-in. Ashley – Thank you for your comments. Affiliate marketing is an amazing way to generate a lot of leads if done correctly. Welcome to the blog!